Enjoy the magic of camp for a day and enjoy the beautiful outdoors! Our PA days offer a fun-filled day. All activities will be dependent upon the weather. We’ll plan on spending lots of time enjoying the outdoors! Our commitment remains: to ensure a quality camp experience where all campers are engaged in a physically and emotionally safe environment, ideal for growth and development. Together we learn and discover in a place where everyone can feel at home. 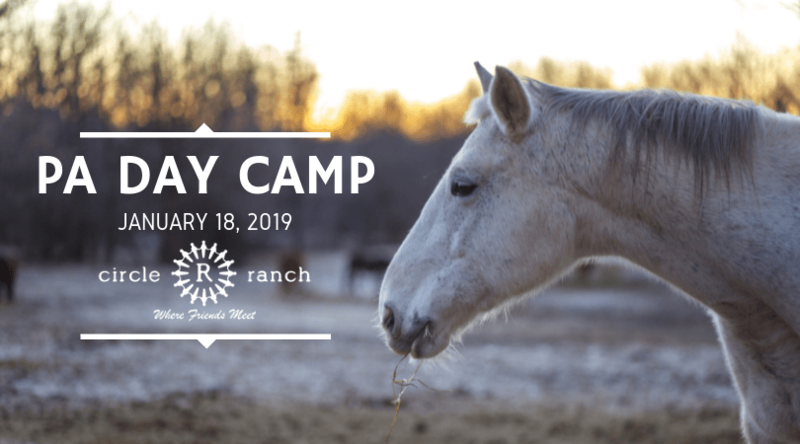 PA Day Camp is always a blast at the Ranch! Volunteering: Opportunities are available for grades 8 and up, depending on experience. Contact us for details. PA Day campers enjoy nutritious home cooked lunch prepared by Circle R staff and served in the main lodge. Circle R will also provide morning and afternoon snacks as well as cold drinks throughout the day. Bus transportation is provided with stops located throughout the city. Our staff travel with the campers and we believe that PA Day camp fun begins and ends on the bus with songs and games!